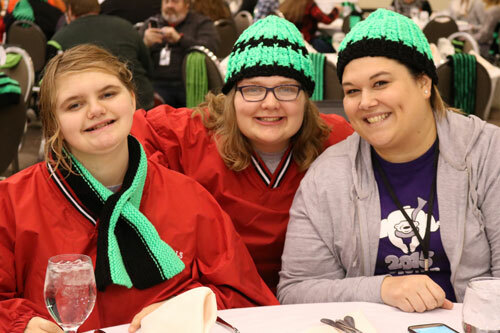 The Special Olympics Scarf Project began with the World Winter Games in Boise, Idaho, in 2009. The goal was to provide each athlete with a new scarf they would proudly wear during the event. While the Scarf Project concluded nationally in 2012, many states, including Iowa, continue the project on their own. New colors are chosen each year and the project has expanded to include hats, headbands and mittens. The design is up to you!